For decades, China’s influence on the world stage has waxed while Europe’s has waned. Now, in the wake of Italy’s joining China’s controversial Belt and Road Initiative – an infrastructure program spanning Eurasia and Africa that has been called the New Silk Road – the world might finally be seeing the implications of this shift in power. As the Carnegie Endowment for International Peace explained, other European states have joined the initiative. Luxembourg recently signed onto it, reported Bloomberg. 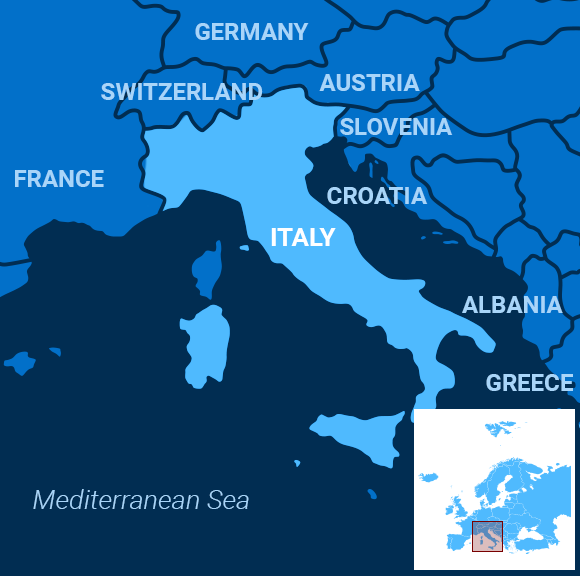 But Italy is the one that counts: It is a member of the Group of Seven largest economies in the world. As Nikkei Asia Review noted, Americans and Europeans bemoaned the symbolism of communists extending loans to a Western power. The deal might make sense, however. Italy needs investment. A bridge in Genoa collapsed last year, giving many a chance to highlight the country’s corruption and poor corporate governance. At more than 130 percent of gross domestic product, Italian debt is sky high. High-profile financiers believe the country could become the next Greece and trigger a Eurozone financial crisis. The critics are right, though, Meg Lundsager, a public policy fellow at the Wilson Center, argued in the Hill. Italy, after all, is incurring more debt under its agreement with China. Sri Lanka gave up control of a port because it couldn’t make its payments to Beijing. Malaysia and others canceled projects after they discovered the terms of their deals with China weren’t as good as they appeared initially. Italy returned almost 800 illicitly traded Chinese artifacts to China soon after signing the deal, reported CNN. The transfer could have been coincidence, a gesture of good will between two friends, a relatively inexpensive quid pro quo. Undoubtedly, it’s a sign of China’s new influence, which some critics call debt imperialism. French President Emmanuel Macron called for an end to naivety among Europeans when it comes to China. After all, the Germans are moving to protect their companies and important infrastructure, the Washington Times reported. Still, perhaps Macron is the naive one. After all, nothing speaks louder than cold hard cash. Australia’s Parliament passed a new law Thursday that makes executives at social media firms subject to prison terms if their networks live stream violent incidents like the recent mosque attacks in New Zealand. Coming in response to the March 15 attacks in Christchurch – which the perpetrator filmed and streamed live to the Internet – the law is needed to prevent social networking platforms from being “weaponized for evil,” Attorney-General Christian Porter told Parliament, according to the Associated Press. The opposition Labor party supported the bill despite misgivings. But critics worry the restrictive laws could have unforeseen consequences, including media censorship and reduced investment in Australia. Under the new law, it’s a crime for social media platforms not to remove “abhorrent violent material” quickly. Violators could be sentenced to as long as three years behind bars, while firms could be hit with a fine of 10.5 million Australian dollars ($7.5 million) or 10 percent of the platform’s annual turnover. Britain’s House of Commons passed a motion to rule out leaving the European Union without a deal setting the terms of the withdrawal in place, in a move that would force Prime Minister Theresa May to ask the EU for an additional extension to the new April 12 deadline. The bill now goes to the House of Lords for final approval Thursday, Deutsche Welle reported. May’s government is “disappointed” considering she has already worked out a withdrawal deal, only to see Parliament roundly reject it three times, a spokesman said. “The prime minister has already set out a clear process through which we can leave the European Union with a deal and we have already committed to seeking a further extension,” he said. Calls also mounted for a second referendum that would give Brits a chance to rethink leaving the bloc, with regional parties from Scotland and Wales and the Greens, Liberal Democrats and Independents all backing a new plebiscite. NATO Secretary General Jens Stoltenberg suggested other Latin American countries might join Colombia as alliance partners, but appeared to rule out President Donald Trump’s suggestion that Brazil might someday become a full-fledged member of the alliance. “…To be a close partner of NATO is something that is good for NATO and the partner country,” Stoltenberg told Reuters ahead of a NATO ministerial meeting in Washington. “So of course, it is a possibility to look into … having also other countries in Latin America become partners which then provides a platform, a framework for close political and practical cooperation,” he said. That’s a bit less ambitious than what Trump said he’d proposed to Brazilian President Jair Bolsonaro at a joint White House news conference last month, where he suggested Brazil could become a full member of the European security alliance. However, even becoming a “major non-NATO ally,” as Trump said is already in the works, would give Brazil preferential access to purchases of US military equipment and technology. Russian hunters in the Altai mountains are using their tracking and trap-setting skills to go after snow leopards, but not for their pelts or as trophies. The ex-poachers are now helping in the preservation of the big cats by tracking their movements and monitoring their behavior, the BBC reported. In 2015, the World Wildlife Fund helped redeem six hunters by turning them into snow leopard wardens for the Sailugemsky National Park, in Russia. The new wardens are using cameras and motion sensors to record the daily life of the felines, and allow scientists to better study them. According to the International Union for Conservation of Nature, snow leopards are categorized as “vulnerable” and have been nearly wiped out in some parts of Siberia. The good news is that their population is slowly growing, and warden Mergen Markov hopes this continues. “We will nurture so many snow leopards, even my grandchildren will be able to see them,” he said.